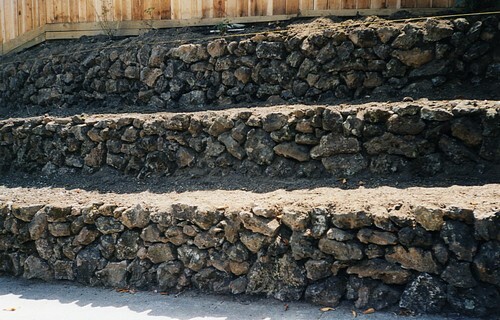 Rock terraces in Redwood City. 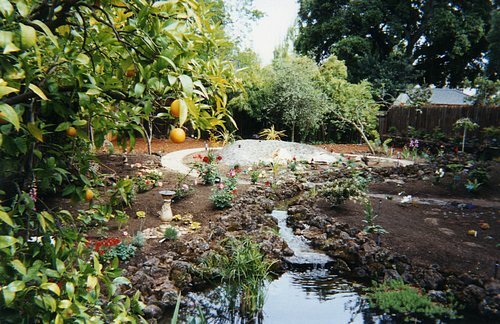 Rocks used in these gardens were purchased from Lyngso Garden Materials. I highly recommend this vendor and for more details, CLICK HERE. 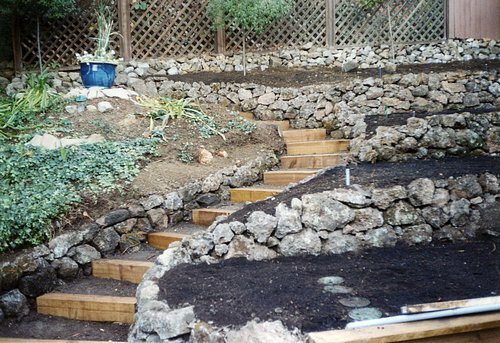 Stairwell through rock terraces in Redwood City. 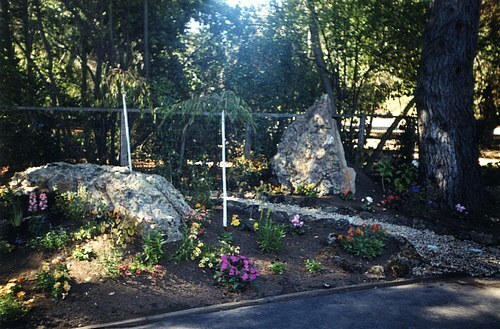 Rock garden along stream, Palo Alto.